Van Zeeland Nursery & Landscape began in 1932 as a ten-acre berry farm (raspberries and strawberries) on the east side of Little Chute. At this time, the country was in the throes of the Great Depression and a supply of food was more important than beautifully landscaped yards. Alois Van Zeeland cultivated the land with the help of his horse, Tom, and many local part-time teenage boys who spaded the land by hand. Harvest was done by Alois and his crew, but a lot of the berries were sold to customers who got a lower price by picking their own. Gradually Alois started to grow a supply of trees, shrubs and evergreens on an adjoining 30-acres of land that was not used for berries. In 1942, Alois married his wife Geraldine (Gloudemans), who helped with the business in these early years. Eventually, around 1946 or 1947, Alois constructed a wooden frame, covered it with plastic, and started potting plants – he had fashioned himself a greenhouse. He was now truly in the nursery business, and he made the decision to switch gears from being a berry farmer to retail sales and landscape contracting. After taking winter courses in horticulture from the University of Wisconsin-Madison, Alois began offering landscape design services to his customers. 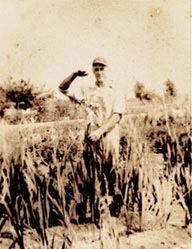 In 1968, 35 years after Alois Van Zeeland started Van Zeeland Nursery & Landscape, local high school student Jeff Hermsen began working summers at the Nursery. 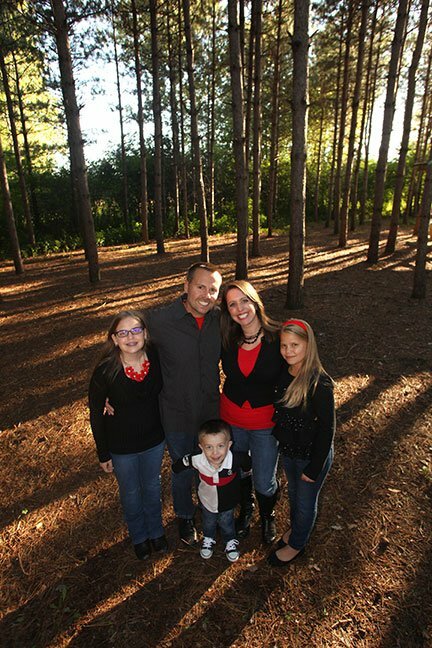 After high school, Jeff continued to work summers at the nursery while attending college. After two years at the University of Wisconsin-Fox Valley, the Little Chute native still didn’t know what course of study to pursue. Seeing Jeff’s love of the outdoors and plants, Alois Van Zeeland suggested to Jeff that he try horticulture. Jeff pursued, and in 1974 received his Associate Degree in horticulture from Gateway Technical College in Kenosha. He then returned to the nursery full time. In 1975, Jeff married Debbie (Chiappetta). 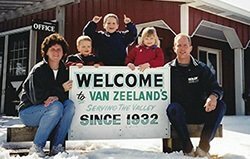 In 1976, Jeff and Deb moved into the second floor of Van Zeeland’s farmstead, residing above the Van Zeeland’s until they built their home adjoining the current nursery property in 1990. Debbie has always been instrumental in the business, doing most of the bookwork (payroll, billings, receivables, payables), reception work, retail sales and ordering of perennials. Wherever she is needed she has helped. 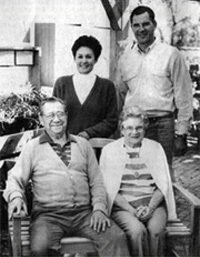 In 1978, Jeff and Debbie purchased the Nursery and Landscaping business (inventory and equipment) from the Van Zeeland’s, and in 1981, they purchased the land (which then approximated five acres). Owning the business, the Hermsen’s were able to focus on the aspects they loved the most, which were Landscape Design and Landscape Installation. This philosophy has been advantageous to both Van Zeeland Nursery & Landscape and their customers; both reap the benefits of the expertise that is offered. This expertise in what they love and do allowed them to add two full time Landscape Designers and seven full time employees over the years. In February of 2003, after 35 years at the Nursery, Jeff and Deb Hermsen sold Van Zeeland Nursery & Landscape to Rick and Sue Sanderfoot. During the selling process, the Hermsens made it known that they preferred to stay in the business and hoped that they could assist at the Nursery for years to come. One of the main reasons they wanted to sell the business was to feel the freedom to get a little more time off – vacation. Rick and Sue jumped at this opportunity to retain their knowledge and expertise, and the Hermsens stayed very active at the business thru 2011. For Rick, getting into the Nursery and Landscape business was just the opportunity he was looking for. After working 20 years in various accounting, management and leadership positions, Rick was ready to be an entrepreneur. Living in the Fox Valley for all but five years, and shopping at Van Zeeland Nursery for the prior fifteen years, he knew that Van Zeeland Nursery was the preeminent destination for high quality plants and exceptional customer service. Rick still felt the excitement that he had when it became apparent that he was going to be able to work at Van Zeeland’s! After 13 years of operating Van Zeeland Nursery & Landscape, the Sanderfoots were ready to pass along the torch. In 2016, David and Rachel Lindenstruth purchased the business. David previously owned and operated an award-winning business that he grew to seven locations and over 400 employees. After selling that business in 2012, David thought he was done with business ownership. After a few years, however, David was struggling to find his calling. He began to look at a variety of business opportunities, but none of them struck a chord. About to give up, David prayed and shortly thereafter, God granted him the opportunity to purchase Van Zeeland Nursery & Landscape. Immediately, David knew that this was the right fit. 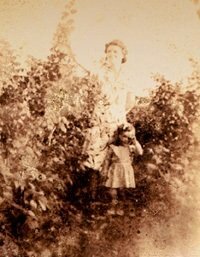 While not the most knowledgeable about plants, David had loved growing them, since he was a child. When he was five, he wanted to be a farmer, like his Grandfather. This was a clear sign. Everything fell into place and the Lindenstruth’s became owners of Van Zeeland’s in 2016. While David manages the day-to-day operations, you’ll see touches of Rachel’s creativity throughout the nursery. Throughout the transition and beyond, Van Zeeland’s never lost a beat. Rick Sanderfoot stayed on to assist the changeover. Jeff Hermsen still helps out in the Nursery today doing retail sales and also uses his many years of expertise in performing plant diagnostics for clients. The rest of the core team that Rick and Jeff assembled stayed on as well – Joe, Steve, Ryan, Robin, Jared, Jeff B., Andy, and Kevin. Including Jeff H., this group averages a remarkable 21 years of experience at Van Zeeland Nursery & Landscape. Blessed by the fantastic opportunity, the Lindenstruth’s promise to continue the traditions of excellent customer service, of carrying the best collection of nursery stock, and of being recognized as the premiere landscaper in northeast Wisconsin!